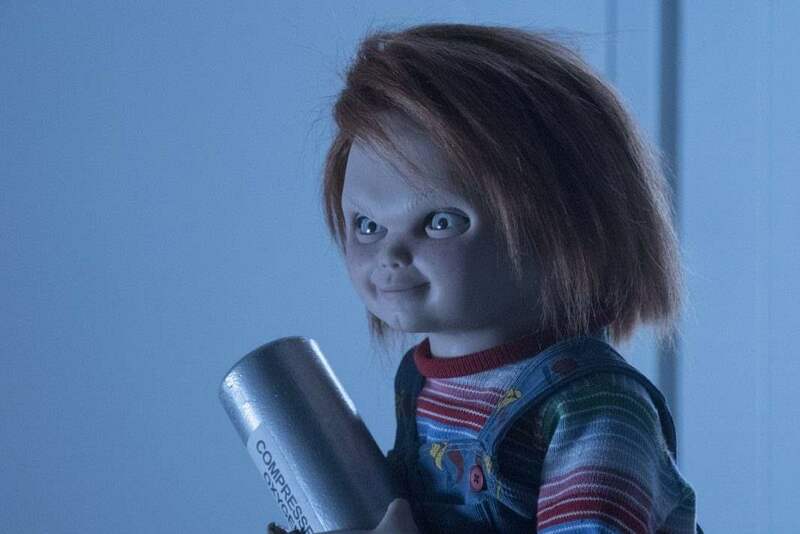 Cult of Chucky did have a few excellent one-liners and building on previously established characters was a good move, although featuring that many well-known characters who each get their bit of time meant that Jennifer Tilly got very little time on-screen and that’s definitely a pity. Unfortunately despite all those good things, the last third of the film moved at an almost glacial pace and felt way too long. I was very happy when the film was finally over, despite the fact that the ending is very open and obviously made for yet another sequel. I could have also done very much without the creepy doctor (although Chucky’s quip “I don’t know whether to kill you or to take notes” was one of the best moments). If you want to do abusive doctor-patient relationships, especially in a psychiatric context, there are many ways and reasons to do that – but in a thoughtful way and not an exploitative way like here. It’s too sensitive a topic for that. After sitting through a very flat portrayal of mental illness (to say the least), the film ends with the ultimate ableims when [SPOILER] Nica, possessed by Chucky, just gets up out of her wheelchair and walks away [/SPOILER]. It makes no sense and it’s offensive miracle-cure stuff. Altogether the film really didn’t blow me away. I don’t know if I’ll see the sequel that’s sure to come. This entry was posted in movies and tagged /slash Filmfestival, 2017, Adam Hurtig, Alex Vincent, Allison Dawn Doiron, Brad Dourif, Child's Play, Cult of Chucky, Don Mancini, Elisabeth Rosen, Fiona Dourif, Grace Lynn Kung, Jennifer Tilly, Michael Therriault, Summer H. Howell by kalafudra. Bookmark the permalink.